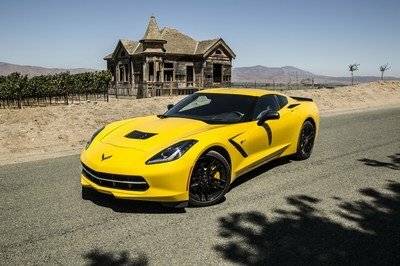 Where Do The 2019 718 Carerra and Cayman T Fit in the Lineup? First things first, the T in the new 718 stands for Touring (not Turbo, mind you). And, if I am not mistaken, the Touring car is the type of car created for long-haul journeys. In style and with clear hints of sport at that. Preferably, an open car. While the 718 Boxster and the Cayman are certainly awesome, I would feel that the T designation would fit better on the 911 Carrera. As it does. The 911 Carrera T exists. However, aside from my geeky reasoning, the 718 Ts are simply awesome. 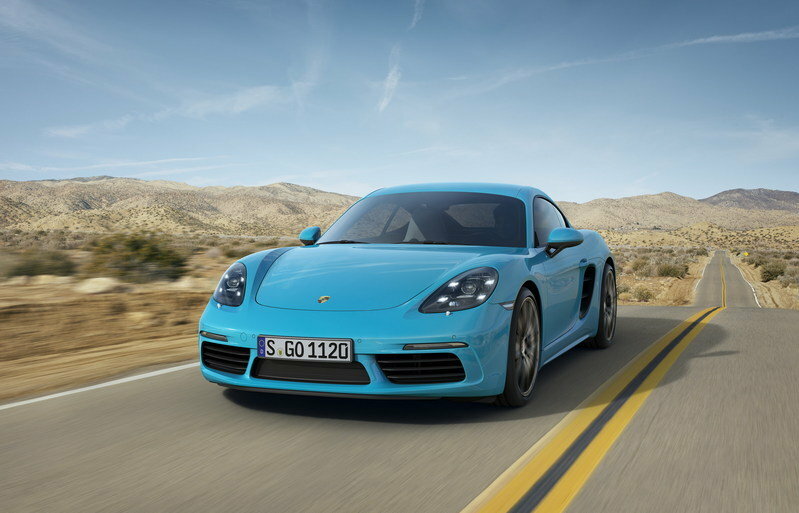 They fit between the entry-level 718 Boxster/Cayman and their higher grade Boxster S/Cayman S models. The cars retained the drivetrain of the entry-level models (engine and transmission), but took all the higher-grade gear (suspension setup and tech) from the Ss. The result is a concoction that’s downright amazing. Well, one of the more obvious changes between the normal 718s and the 718 T models is the lack of an infotainment system. It is not the first time that Porsche deleted the infotainment, navigation, and radio to save up to 15 pounds. This only proves the point that the new one is clearly a more focused car than the lesser 718s. However, you can have the infotainment/navigation/radio and all that jazz back into either T model at no cost. If not, then say hello to a massive box/storage compartment in the middle of the center console. 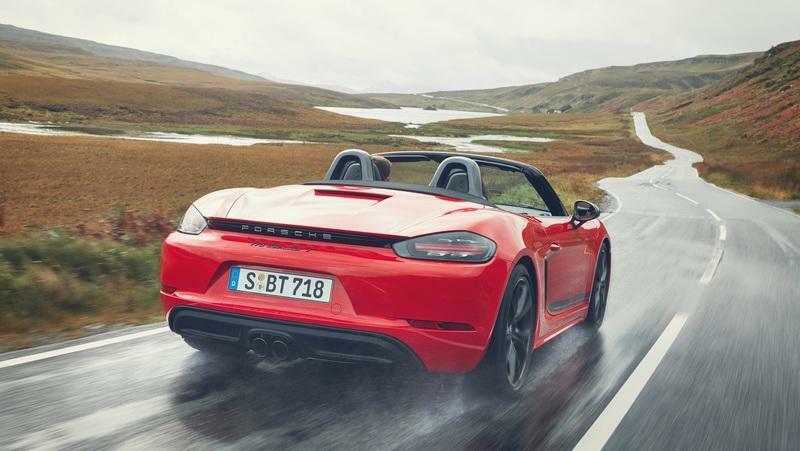 Personally, I believe that a vast majority of the buyers will choose just that - to have the 718 Boxster T or the 718 Cayman T with freaking infotainment. Now, interestingly enough, the infotainment deletion is available only in Europe. This leads me to my next point. 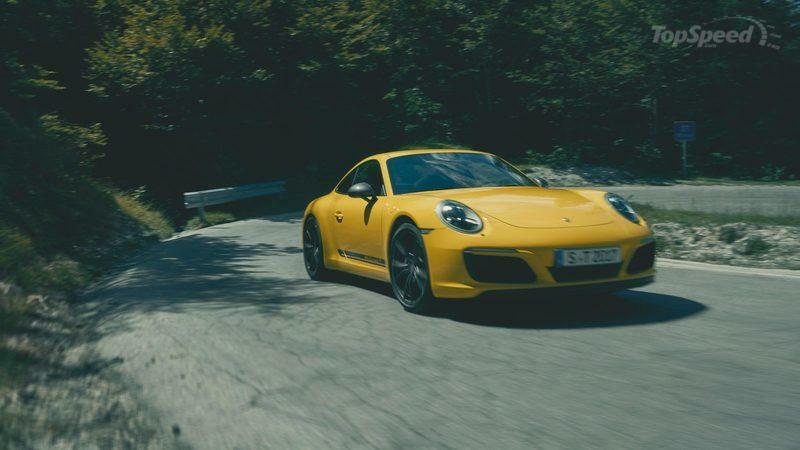 Are the 2019 Porsche Carerra and Cayman T Really Lighter? 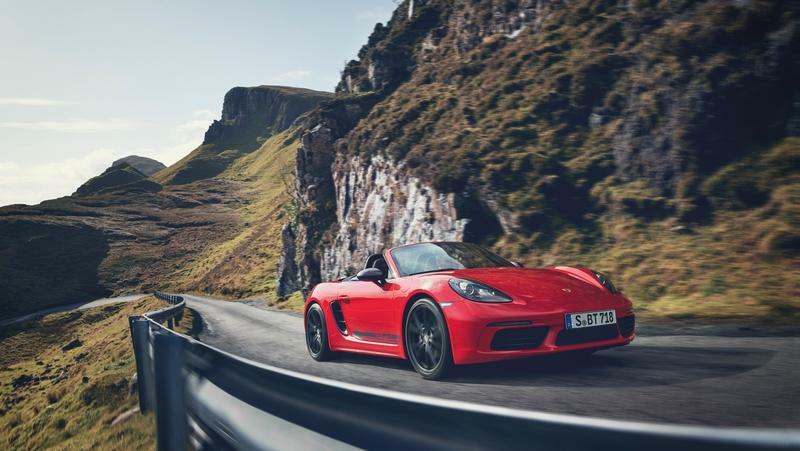 Due to stricter emission regulations, Porsche had to install gas particulate filters on the Boxster T and the Cayman T with a 2.0-liter, turbocharged engine. This thing alone adds 15 pounds. All of this weight can be omitted if you choose to delete that infotainment thing. 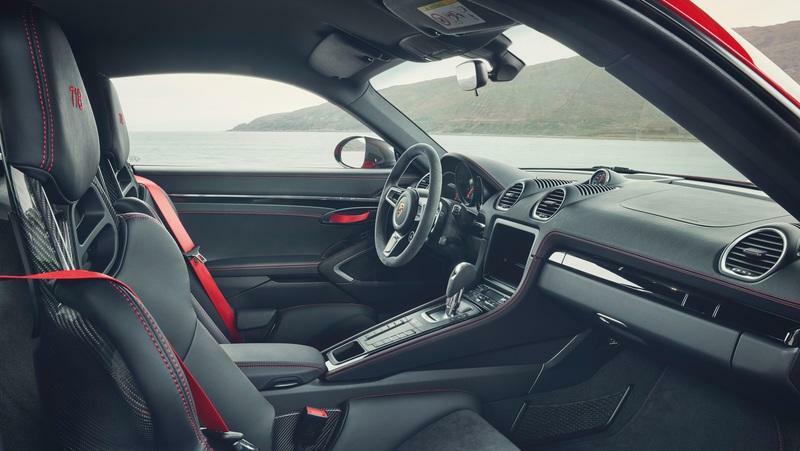 Now, in the U.S. you cannot actually choose a car without a Porsche Communication Management infotainment system inside. You need it for the mandatory rearview camera gear. However, the 718 T models that are due to be sold here won’t have those gas particulate filters which makes them basically the same weight as the cars in Europe. I had a chance to drive the latest 718 Boxster with a 2.0-liter. And, you know what? Not once did I think to myself - hmm, it would be awesome if this thing could be lower. Well, someone did, as with the installation of the Porsche Active Suspension Management (PASM), the Ts hunkered down by 0.79 inches. That is a lot for an already really low car. 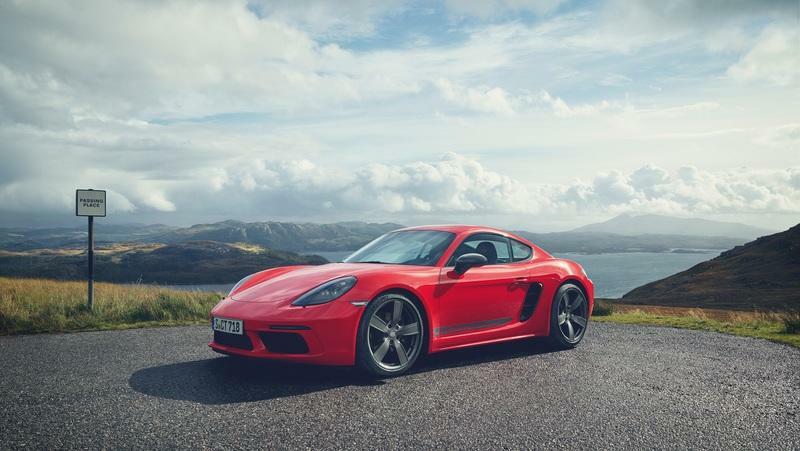 Aside from actually lowering the center of gravity even further, the PASM is, for the first time ever, linked with the least powerful Boxster and Cayman models with a 296 horsepower, 2.0-liter engine. The PASM, in itself, continuously adjusts the suspension setup in accordance with the road conditions and driving conditions. Basically, if you are on a run, with hard braking, strong acceleration, and violent turns, it will adjust the damping pressure accordingly thus dramatically eliminating possible body-roll. 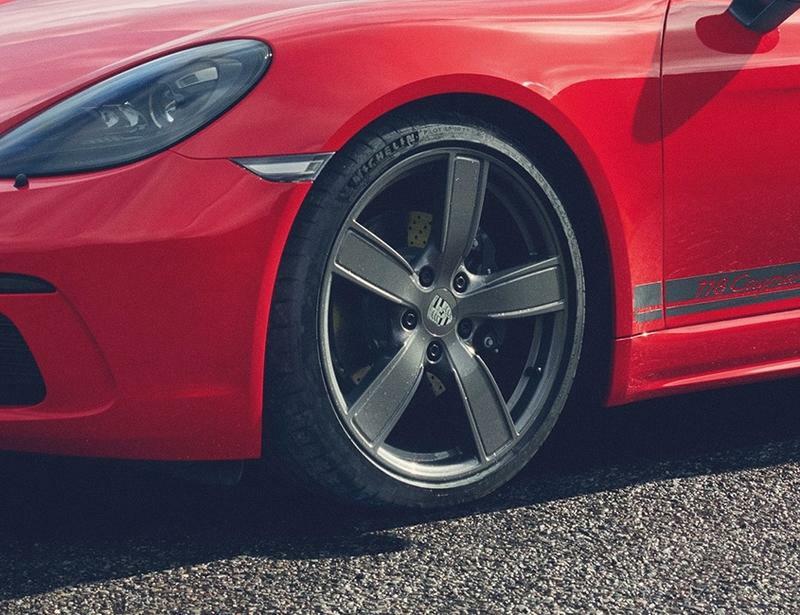 It is clever stuff used throughout the Porsche lineup. Now, it’s scaled all the way down to the least expensive models. The system enables you to select one of, usually, three modes available - Comfort, Sport, and Sport Plus. However, as the Sport Chrono Package comes as standard, I believe you can choose between the Normal, Sport, and Sport Plus which will adjust the suspension as well. All this happens with massive, 20-inch wheels on the corners. Reading about the new 718 T in its both configurations, I found that some weren’t actually satisfied with the Porsche 718 T being powered by a four-cylinder engine. “It’s not special enough”; “Four-cylinder screams prestige,” some of the comments mocked the Porsche 2.0-liter in the 718 Ts. Well, let me tell you right away, the 718s having four-cylinder engines is more fitting that having them with any kind of other propulsion gear. Just remember, all the early Porsche cars had four-cylinder engines - the 356, or the 550 Spyder James Dean died in. The 718 T is its successor for goodness sake. Well, I drove the very 718 Boxster with a 2.0-liter, 300 horsepower (or 296 ‘Murican horsepower,) and it is fast. Properly so. With all the added gear in the Ts, the capability of what these 296 horsepower engines can do is stretched to its limits. 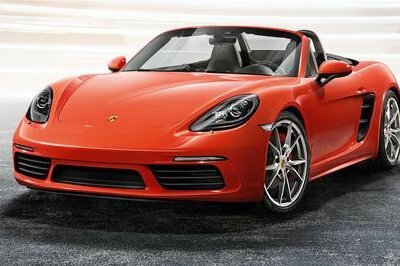 Throw in an optional PDK transmission in the 718 Boxster T and launch it, the thing will surge to 60 mph in freaking 4.5 seconds. That’s better than what you’ll do in the Audi R8 V-8. 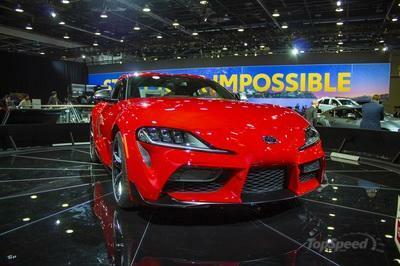 Better than a freaking Maserati GranTurismo. On the other end of the scale, you are looking at 170 mph. 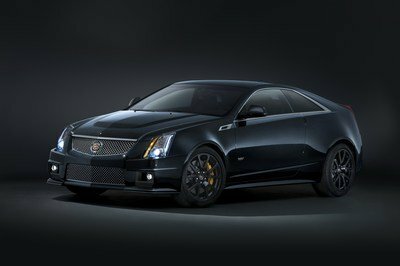 So, yes, 296 horsepower and 285 pound-feet of torque is more than enough. And, you’ll be able to use every single pony, in ways you will not be able to comprehend at first. Obviously, a bit earlier I did say that if you “throw in an optional PDK”. 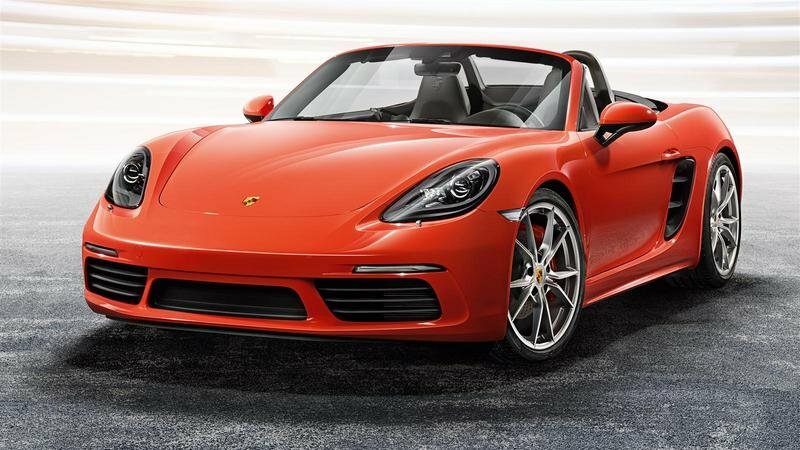 Surprise, surprise, the least expensive version, and the one you really need to cope with all the magic of the 718, comes with a six-speed manual. That one will not be as brutal and as quick as the one with the PDK though. 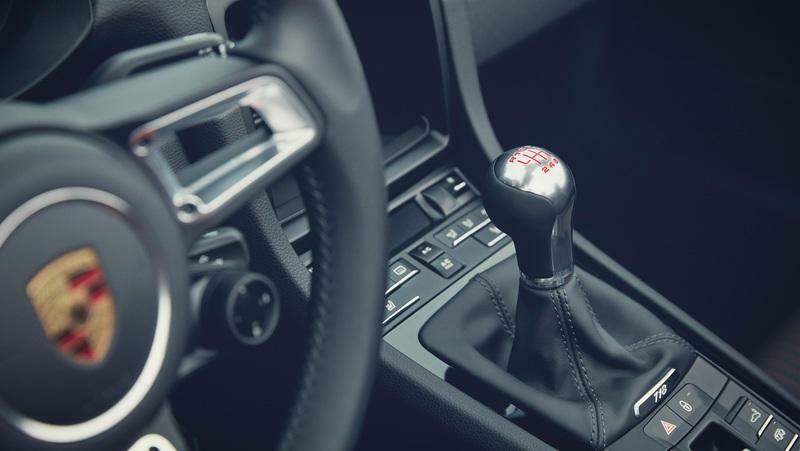 In fact, expect a 0-60 mph time in 4.9 seconds for the one with the manual. If I remember correctly, Porsche pioneered the Porsche Active Drivetrain Mounts technology in 2010 with the installation of the units in the back of the 911. 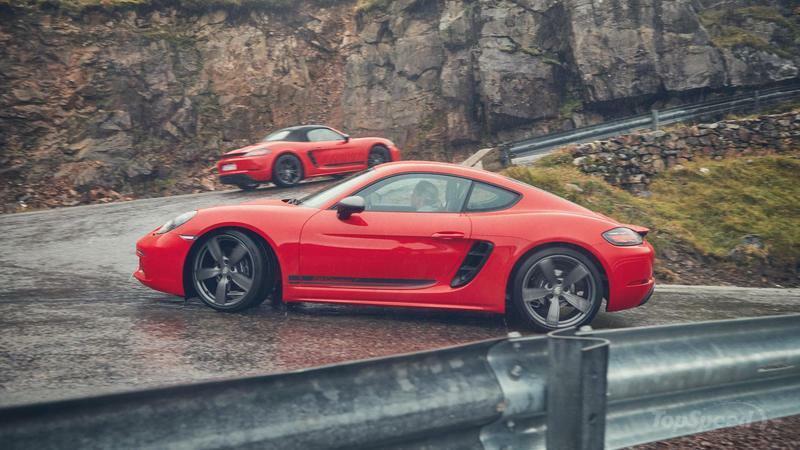 Now, the mounts found their way to the Boxster and the Cayman. In this case, apart from using the mounts for the engine, Porsche installed them to support the transmission as well. I am sure you wonder, what the heck do Porsche Active Drivetrain Mounts do? Well, these mounts are highly adjustable. At lower engine rpms the mounts soften to make the ride more comfortable. Yet, as the engine rpm increases, electric charge is applied to the magnetorheological fluid that contains microscopic iron particles in the mounts. With the increase of the electric voltage and the increase in power of the magnetic field, the iron molecules become harder and longer, thus lowering the viscosity of the magnetorheological fluid. This can go so far that it basically makes the mounts completely rigid. Making the mounts on the engine and on the transmission rigid lowers the mass transfer and affects the behaviour of the car under hard braking, or high turning. It is a smart tech that further showcases Porsche’s dedication for creating a driver pleasing machine. 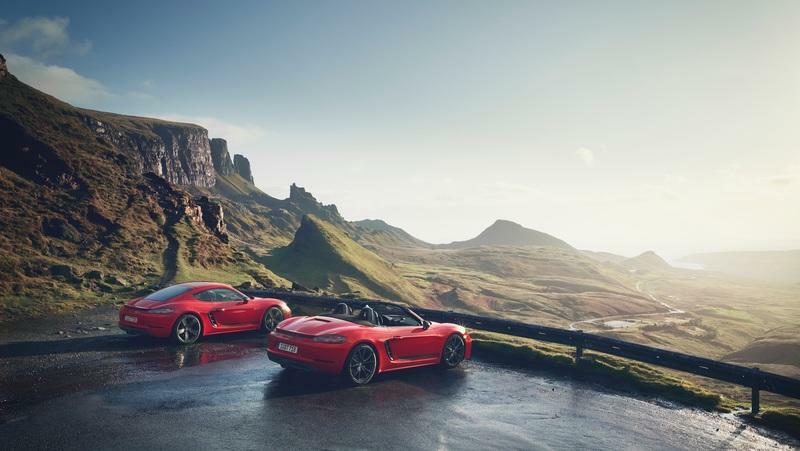 How Expensive Are The 2019 Porsche 718 Cayman and Carerra T Compared With the Standard 718? In the U.K., the 718 Cayman T starts at $64,700. The one without a roof starts at $67,000. 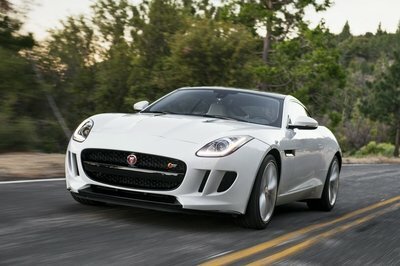 According to TopGear, this is exactly $6,400 more expensive than the entry-level versions. However, if you are to opt for some of the added gear from the catalog and try to equip a base 718 with it, you’d pay a whole lot more than $6,400. Some suggest that savings are up to 15 percent. 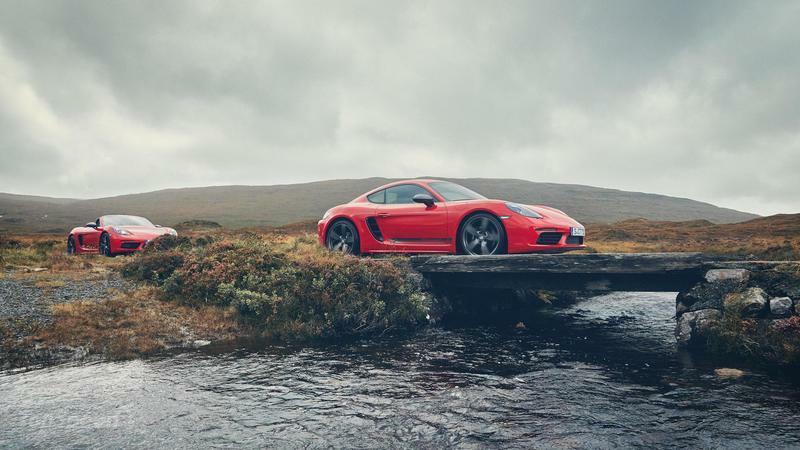 Read our full review on the 2019 Porsche 718 Cayman T.
Read our full review on the 2019 Porsche 718 Boxster T.